Released in 1979. Spy Records SP004. Recorded live at CBGB's, New York, June 1979. All songs written by John Cale, except Walkin' The Dog written by Rufus Thomas, Jr and Memphis, written by Chuck Berry. 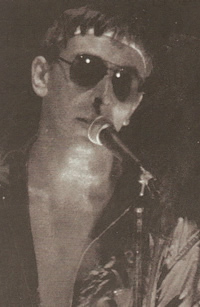 Memphis, Chickenshit and Hedda Gabler were released as an EP called Animal Jusitice in 1977. Rosegarden Funeral of Sores was released as the b-side of the Mercenaries single (1980). The master of the studio version of Mercenaries is lost and therefore not included.